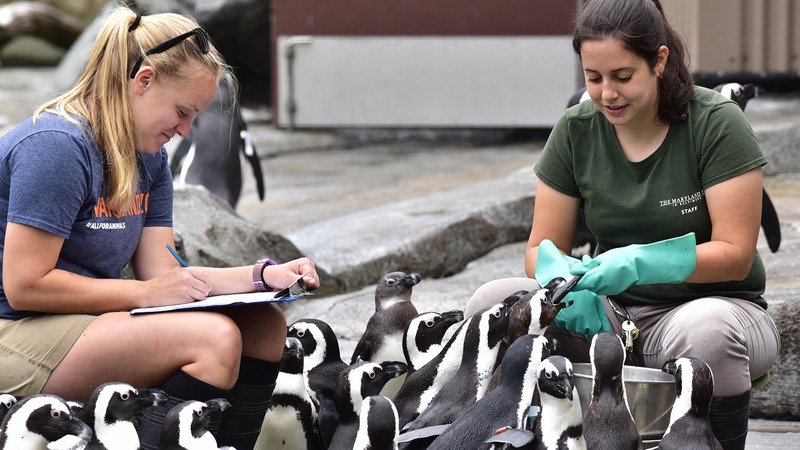 From animal care to finance and everything in between, there are many opportunities to pursue your career goals at the Maryland Zoo. Zoo more with your career! We are proud to be accredited by the Association of Zoos and Aquariums (AZA), which is representative of excellent care for animals, a great experience for visitors, and a conservation-minded organization focused on providing a better future for all living things. Fewer than 10% of the approximately 2,800 animal exhibitors licensed by the United States Department of Agriculture are AZA accredited. If you are dedicated, enthusiastic, and qualified, we highly encourage you to use the link below to search and apply for our open positions! Please note, due to the large volume of applications we receive daily, we are unable to provide personalized status updates to each applicant. Candidates who are selected to participate in the interview process will be contacted directly by the hiring manager, and/ or a member of our Human Resources team. From our animals to our workforce, we recognize and cultivate diversity and inclusion. Through the celebration of our differences, we create respectful, thoughtful, and positive engagement with our neighboring communities, outreach audiences, and zoo guests. New positions are added as they become available. Interested in VOLUNTEERING OR INTERNSHIPS? Click to learn more. Keeper Spotlight – Anthony S.